The Honey Bee Store in Niagara, Ontario - Pure New Zealand Manuka Honey Manuka Honey Enhancing Whitening Facial Cream Moisturizes and helps repair uneven skin tone! 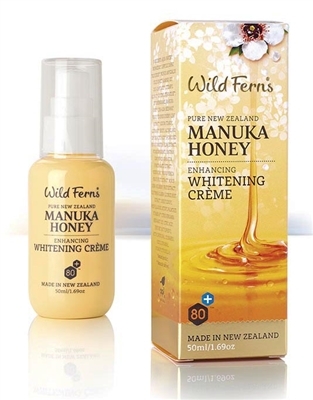 A concentrated cream formulated with premium certified Manuka honey 80+. Moisturizes and helps repair uneven skin tone! dark spots, discoloration and uneven skin tone. I have been using this for about 3 weeks and have seen my sun spots lighten up. It is a very light texture cream and absorbs quickly.